In the example picture below, I would like to move the three captain skill points from 'superintendent' to 'torpedo armament expertise'. 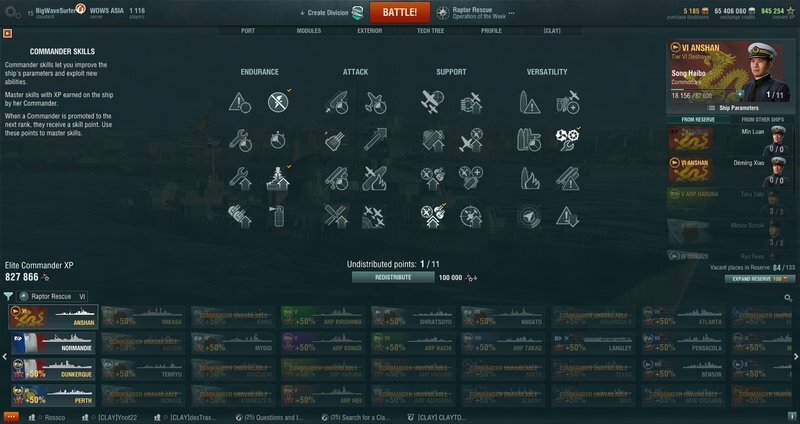 I would like to right-click on 'superintendent' and for 75 dubloons/30,000 xp, have the 3 captain skill points revert to undistributed (as the 3rd line is already populated). Then use the freed up 3 points to apply 'torpedo armament expertise'. If the 3rd line were not populated. For 175 dubloons/70,000 xp, I could undistribute 'concealment' (4 points) and 'superintendent' (3 pints). Then I could redistribute the 7 captain skill points to 'torpedo armament expertise' (3p)and 'concealment' (4p). I have no experience as a game developer and I'm not familiar with the amount of work required to modify gaming code, but I thought it might be beneficial to do away with the occasional 'redistribute captain skill points for zero dubloons' in favor of a 'reversal' or 'count back' of captain skill point distribution, for players and revenue. As skill level increases, players can adapt the captain skill points to suit, ironing out mistakes and fine tuning as they go. The problem with the Public Test is that not all ships are available for testing. I've edited the post to try and make it clearer. (It is about a partial reset of skill points).